The mass trial in Turkey of 151 Kurdish politicians and leading activists, including lawyers and mayors, was brought to attention of British MPs at a meeting in the House of Commons on 9 November. Organised by Peace in Kurdistan and hosted by Hywel Williams MP, the meeting highlighted the implications of the trial for the future of democracy in Turkey, relations between Turks and Kurds and the country’s relations with the European Union. Under the title, Mass Trial Puts All Kurds in the Dock, the meeting heard contributions from members of a UK delegation who had flown to Diyarbakir for the opening of the trial on 18 October. The real intention behind the trial is a demonstration of power by the Turkish state against the whole Kurdish community, Labour MP Jeremy Corbyn, who took part in the delegation, told the meeting. Reporting back after attending the first day of the trial, the MP described the 1,500 police surrounding the court building, the road blocks and how the families of the accused were kept separate from international visitors. Observers had to wait more than two hours before they could get inside the court. Giving the clear impression that the trial was held as a form of theatrical display of authority to make an example of the Kurds, Mr Corbyn went on to describe how each of the 151 defendants and the 250 lawyers had to identify themselves before the three judges. The MP strongly criticised the methods of collecting evidence which he said was based on hearsay and phone-tapping. Turkey’s legal system clearly still left a lot to be desired. Jeremy Corbyn stressed the important symbolic significance of international observers attending the court proceedings as an act of solidarity when the trial was little more than a travesty of democracy and justice. The prosecution of leading Kurdish politicians and respected social figures like human rights lawyers and mayors was sending out entirely the wrong message to the Kurdish people, he declared, but he expressed the hope that sooner or later Turkey would have to change course and open negotiations with the Kurds to achieve peace. Hywel William, the Plaid Cymru MP who also took part in the UK delegation and who chaired the meeting, described an “Orwellian” atmosphere in the courtroom and remarked that the lack of translation equipment in the brand new court building would be completely unacceptable in Europe. As a Welsh language campaigner, he closely identified with the issues relating to the denial of the use of the mother tongue to the Kurds, an issue which had been raised at the start of the trial. Hugo Charlton, a human rights barrister, who has visited Turkey on many occasions, described attending the second day of the trial and said that the huge courtroom was an extraordinary sight. Hugo raised the importance of showing solidarity with the beleaguered Kurdish lawyers. One of the reasons why there were 250 lawyers in the case was that lawyers suffered widespread and consistent harassment in Turkey and there was safety in numbers. He further pointed out that eight of the defendants in the case were themselves lawyers. He went on to brand the trial a blatant piece of electioneering by the AKP and felt that it was only too clearly a political trial. Turkey was grotesquely abusing the legal system and this should be deeply shocking to everyone, Hugo Charlton stated. Keynote speaker, Nuri Yaman, a BDP MP for the city of Mus, stressed that there was no doubt that the trial was politically motivated. Explaining his party’s position, the MP said that what really needed to change was the Turkish Constitution in order to allow other nationalities to express their identities and use their own languages on an equal footing with Turkish. It was now over a year since the AKP government had announced its intentions of enacting reforms, but so far nothing had really changed and the trial was evidence of this lack of real change. Mr Yaman said that Kurds now don’t believe a word the Turkish Prime Minister says when he speaks about reform because the AKP continues to flagrantly ignore Kurdish demands. He said that the BDP wanted the Kurdish ceasefire to continue, but that Turkey should also stop its operations in response. He called for an end to Turkey’s legal actions against Kurdish politicians which had seen thousands of Kurds detained and arrested. There was a need for the opening of dialogue between Turkey and Kurdish representatives in order to find a lasting resolution to the conflict. The AKP could not afford to keep ignoring the proposals from the BDP and the demands of the Kurds. One important reform that needed to be introduced concerned the 10% national election threshold which acted as an obstacle to prevent parties like the BDO with a strong regional base to win representation, Nuri Yaman stated. He felt that if this 10% rule was removed then the BDP could win as many as 60 seats in the general election. Ali Has, a lawyer based in London and a spokesman for the British Peace Council, an organisation linking Kurds and Turks in the UK, said that the mass trial indicated that Turkey was taking its persecution of the Kurds to a new level. He reiterated the arguments of previous speakers that the evidence gathering had been deeply flawed and strongly criticised the use of wire-tapping and the conclusions that were being drawn from the personal conversations that had been taped. In addition, all the so-called evidence was not being fully made available to the defence and defence lawyers were not being given sufficient time to assess the thousands of pages of evidence, all of which amounted to abuse of legal process. The assumption that the defendants were guilty was openly being made which was another clear breach of legal process, Mr Has explained. Finally, Serife Semsedini, a human rights advisor with Trott & Gentry and a Kosovan Albanian, drew parallels between the treatment of Kurds and the treatment of her own people in the former Yugoslavia. She described the mass trial as a conspiracy by the Turkish state to link the BDP to terrorism. It was an attack on the whole Kurdish people and undermined the process of justice in the country, she said. Urging further action to raise awareness in the UK about the implications of the trial, Estella Schmid from Peace in Kurdistan, urged people to lobby their MPs to persuade them to sign an EDM that Jeremy Corbyn had produced on the issue. She also strongly supported the call for solidarity with the Kurdish lawyers from the legal profession in the UK. The proscription of political organisations like the Kurdistan Workers’ Party (PKK) under existing EU anti-terrorism legislation remained a key obstacle to achieving a peace settlement in Turkey and as such it needed to be challenged, she said. 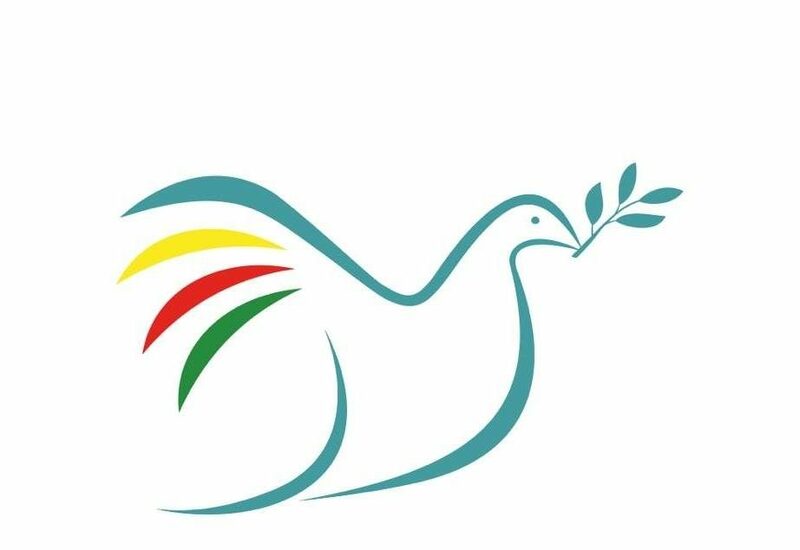 An eyewitness report from the UK delegation to the trial has been produced by Peace in Kurdistan and was distributed at the meeting. It includes contributions from the MPs and lawyers who attended the trial, including barrister Margaret Owen who was unable to be present at the parliamentary meeting.